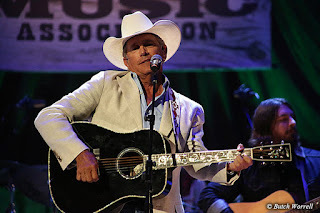 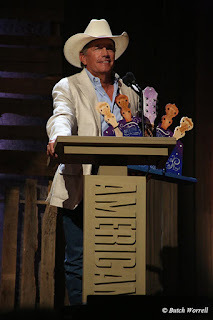 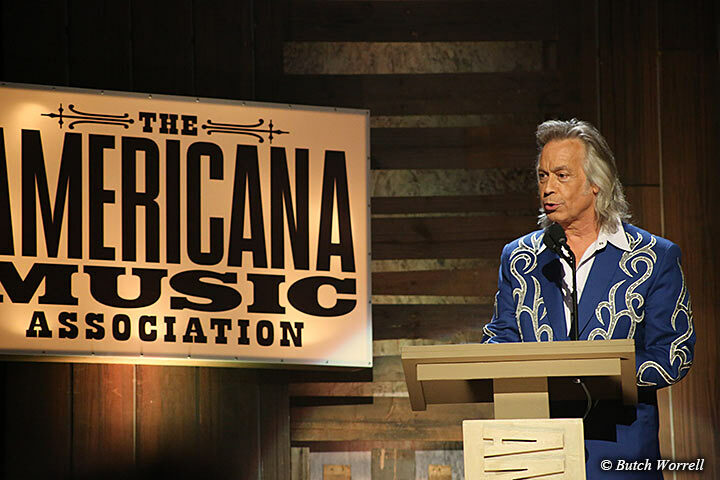 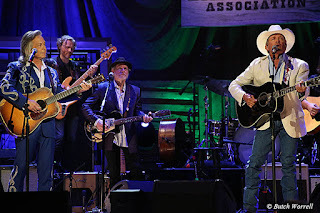 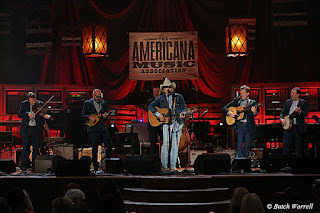 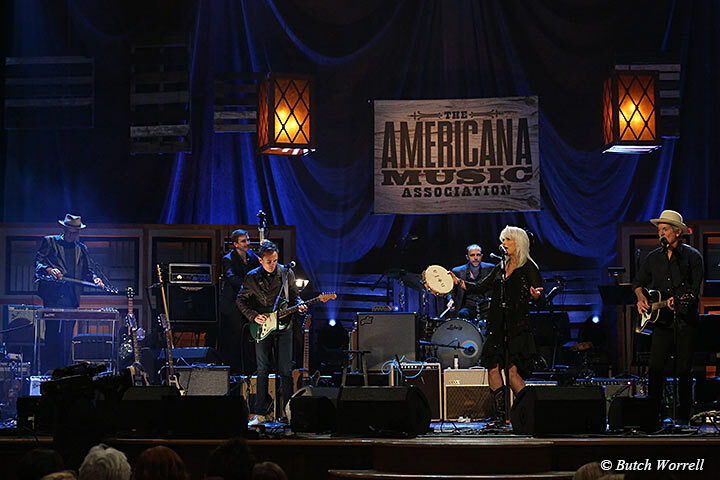 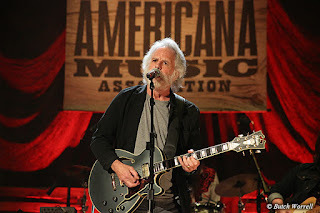 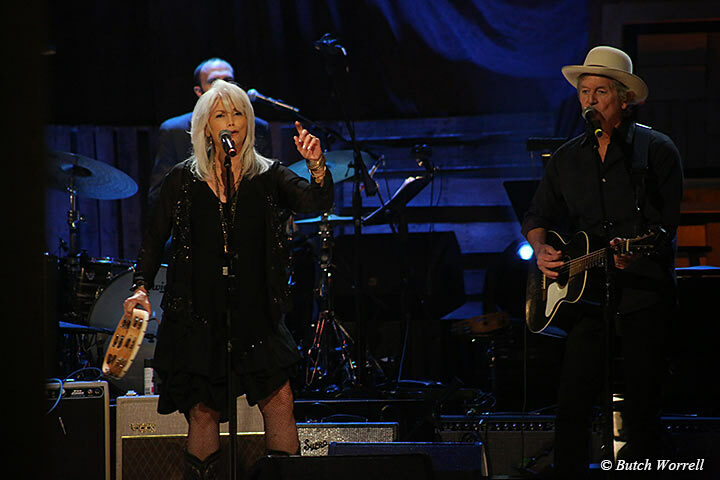 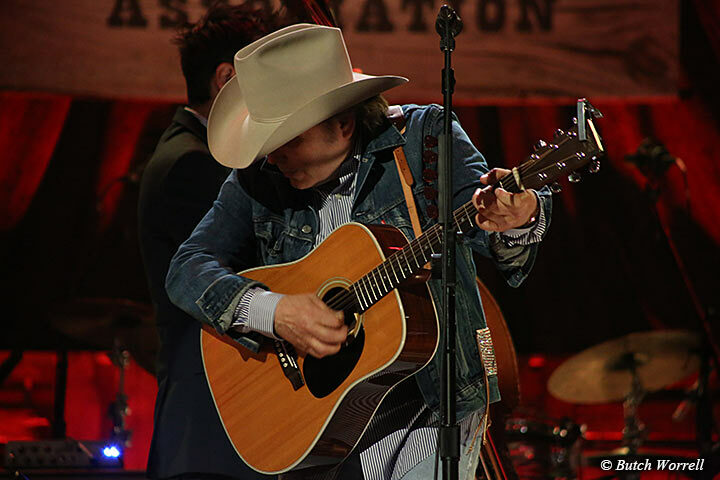 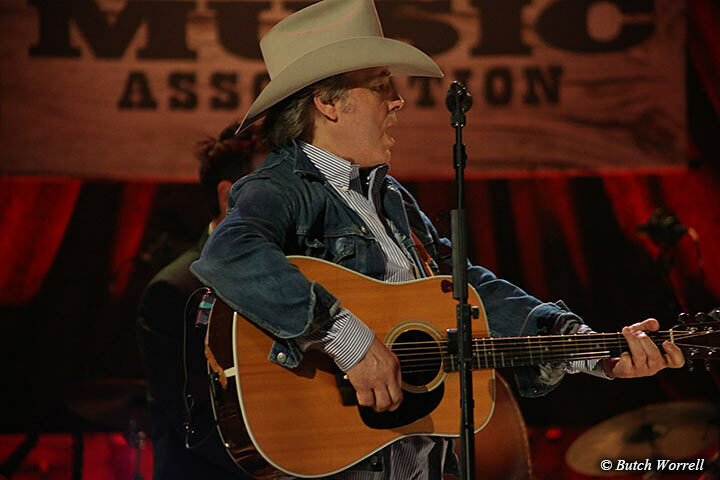 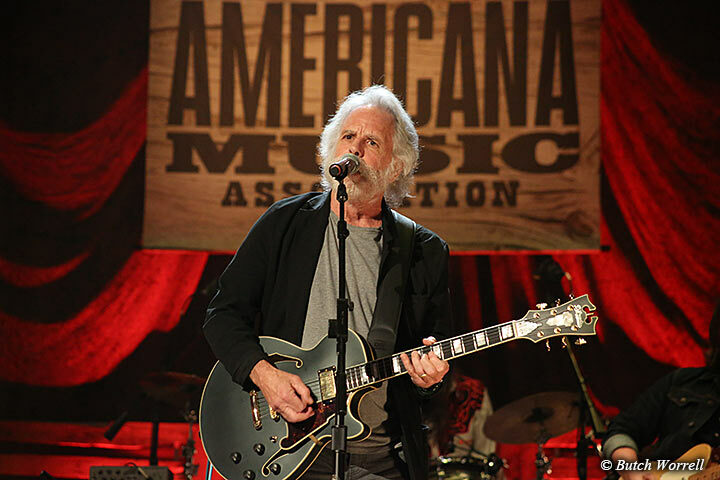 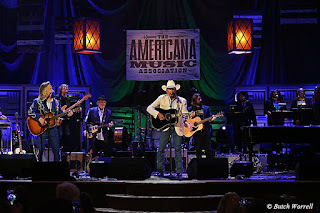 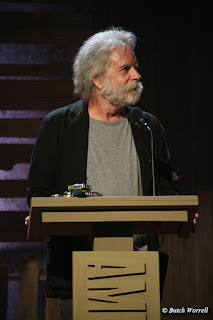 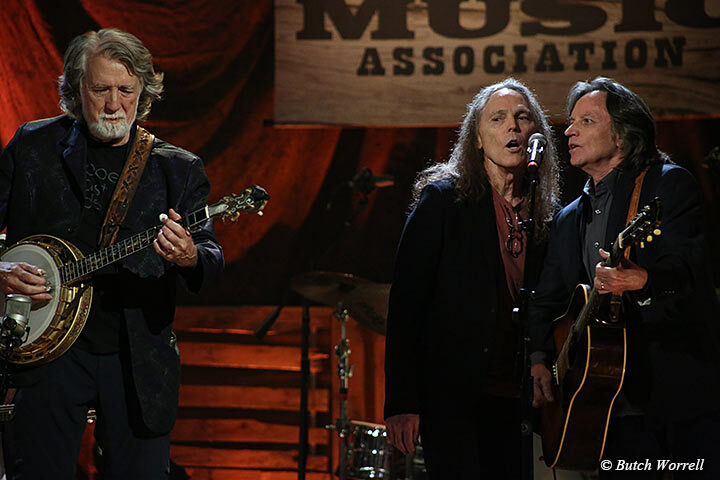 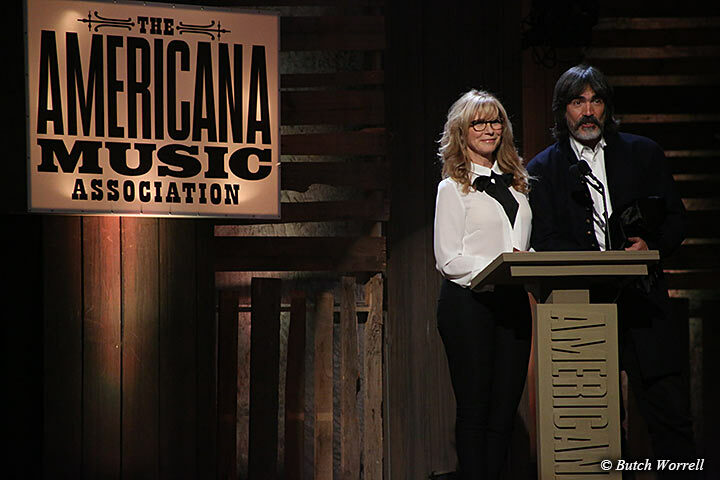 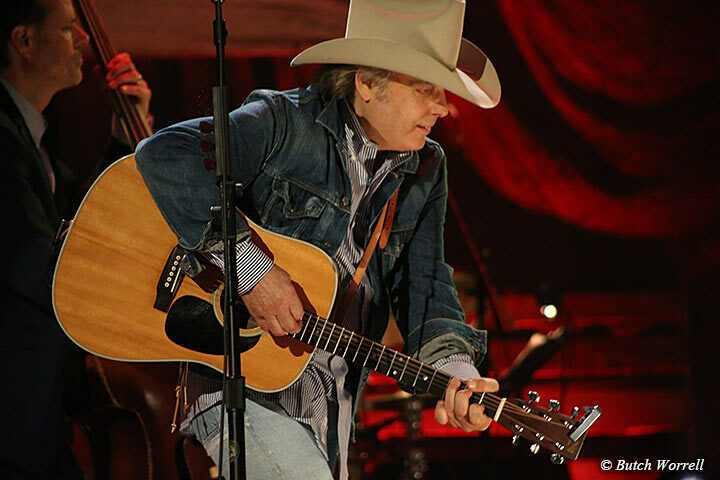 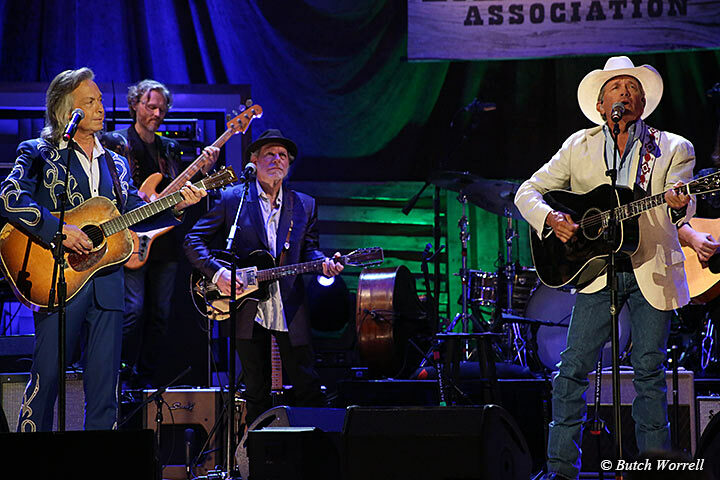 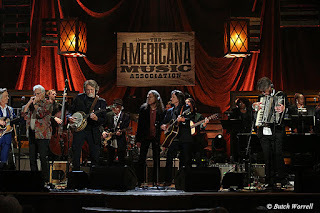 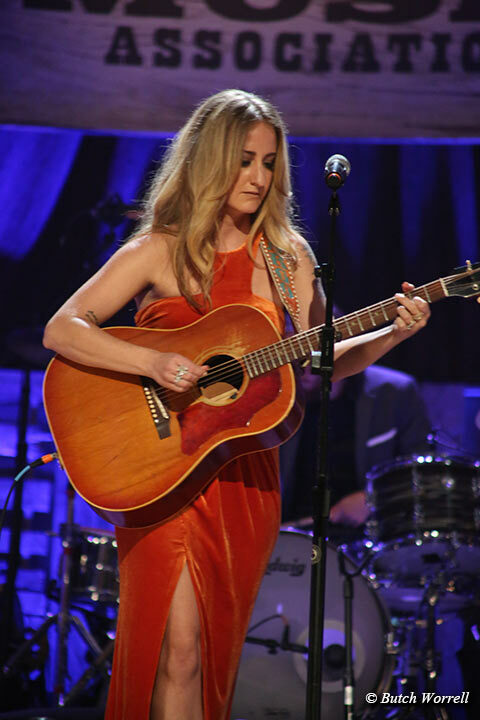 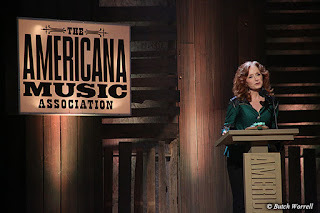 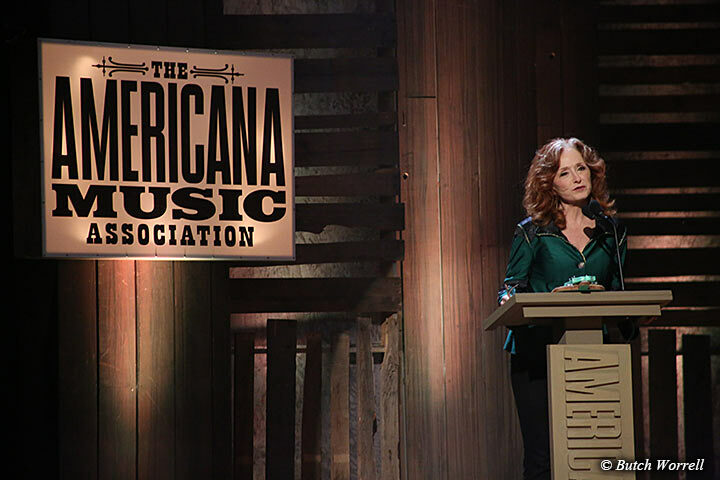 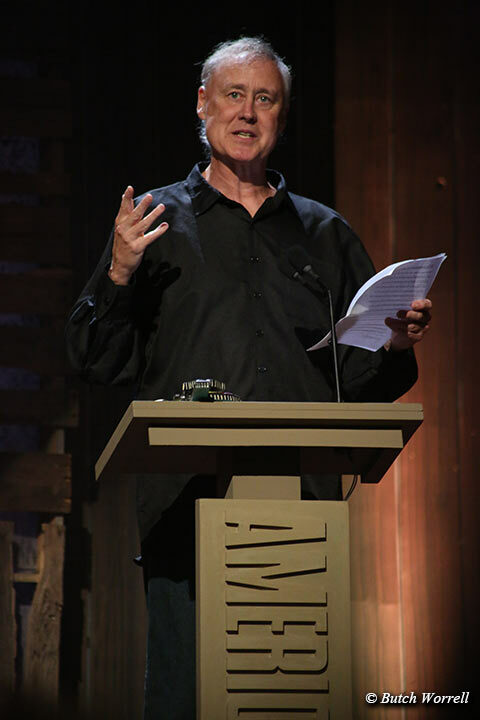 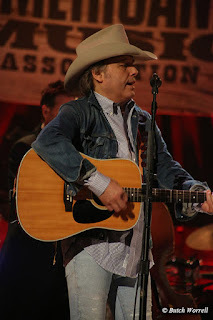 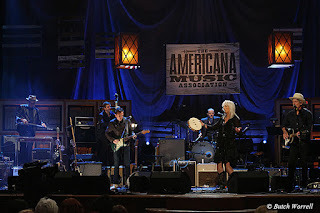 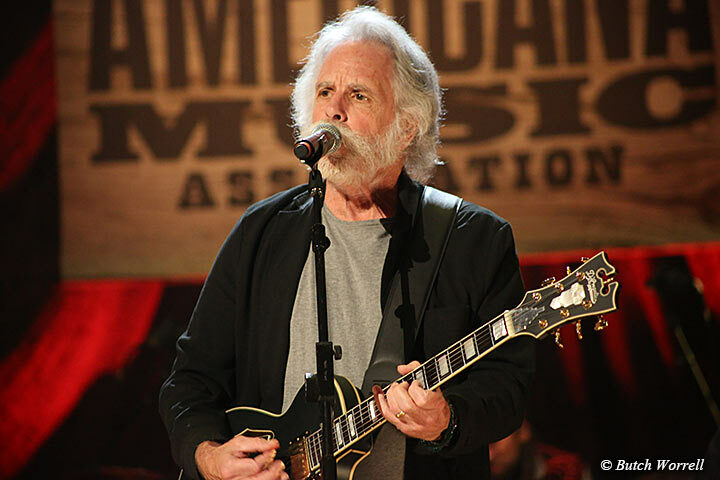 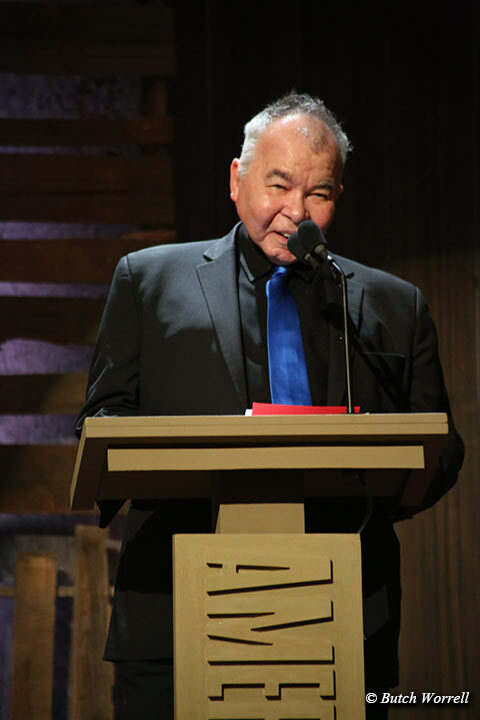 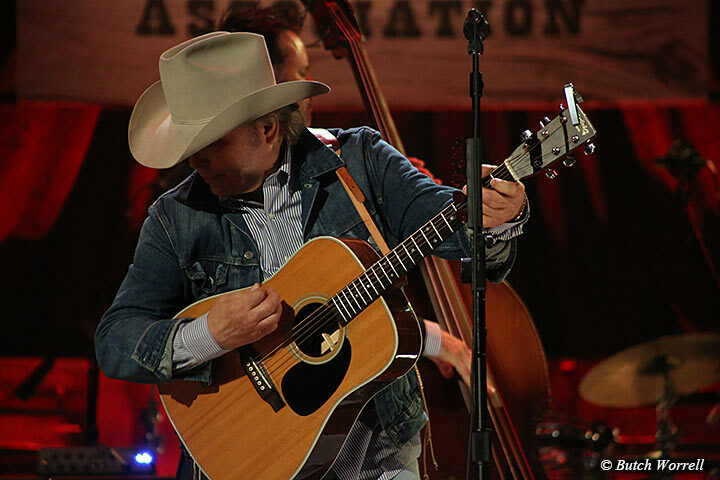 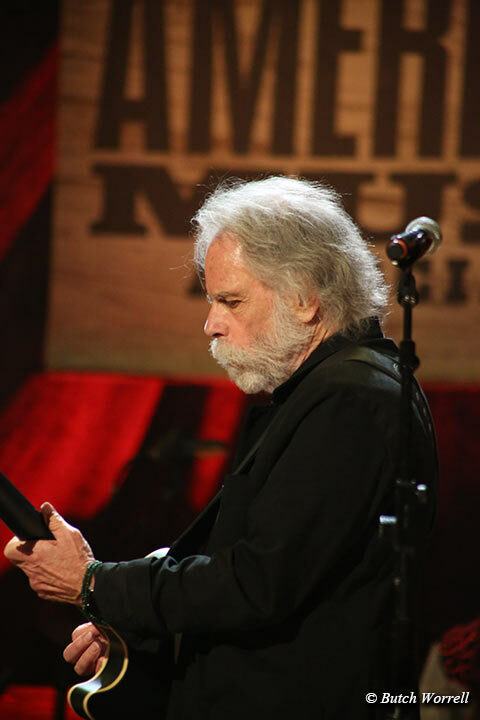 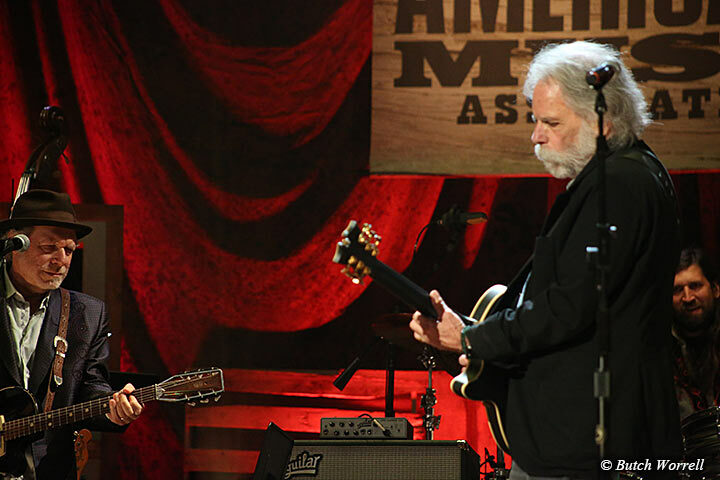 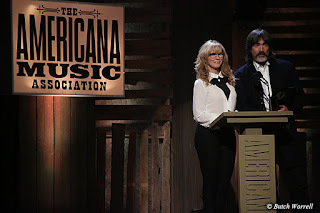 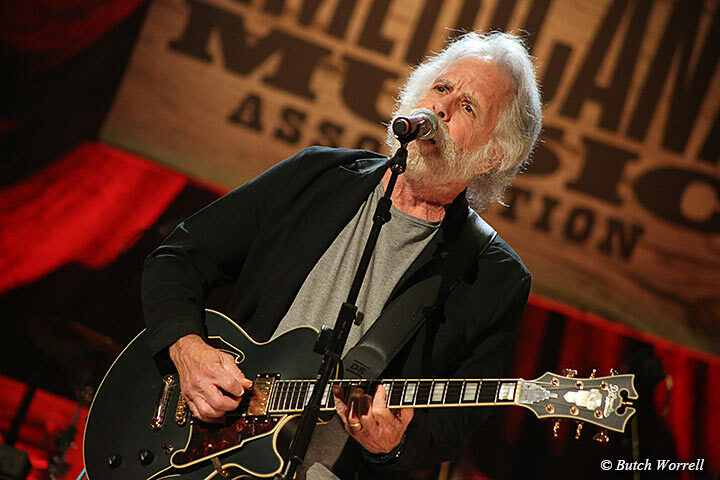 The 2016 Americana Awards show at the Ryman was a true tribute to the music of America. 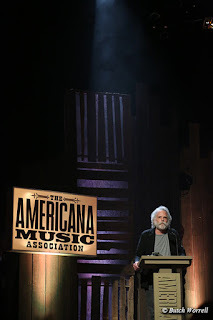 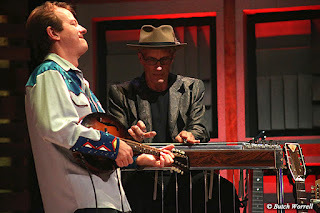 It honored those who have passed on, it honored those still here whose lifetime of music making made them a place among the honorees, and it recognized those rising stars continuing the tradition of making music, Americana Style. 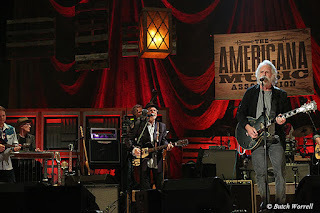 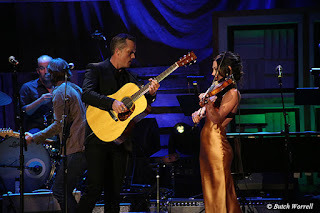 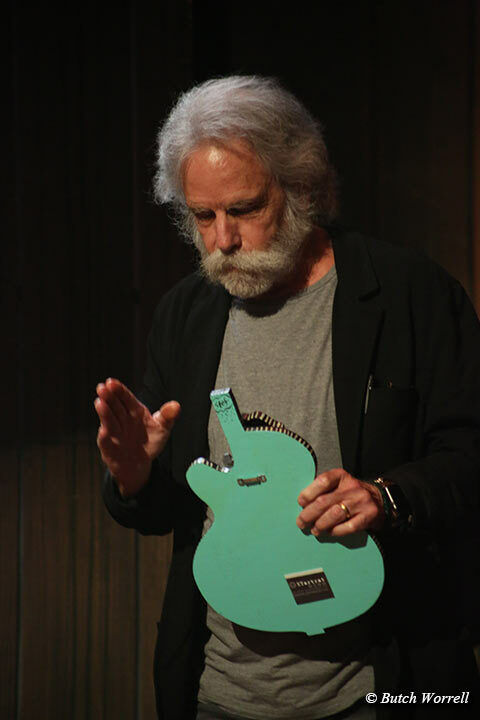 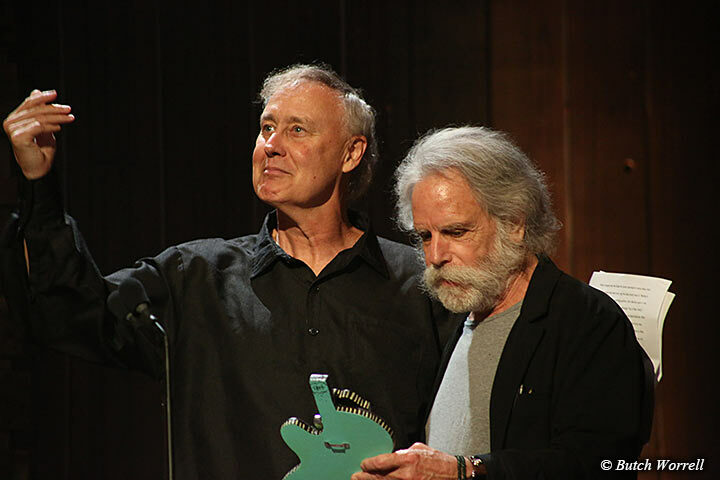 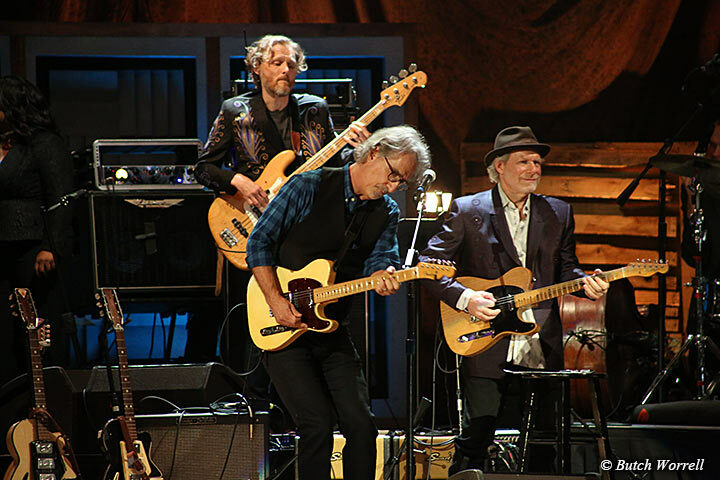 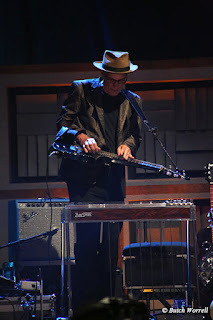 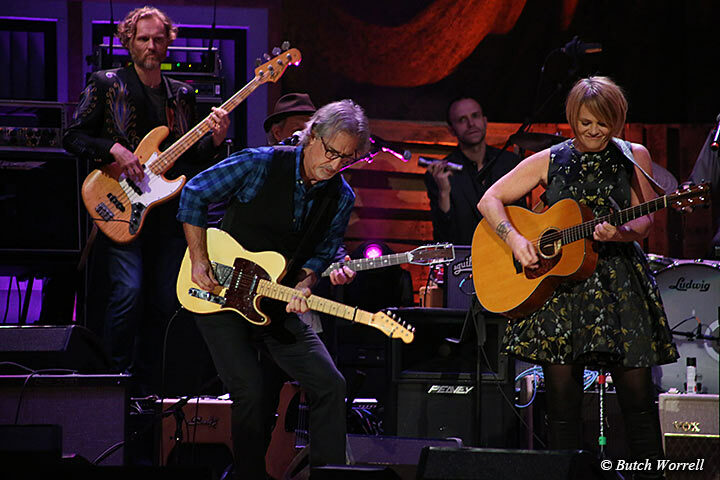 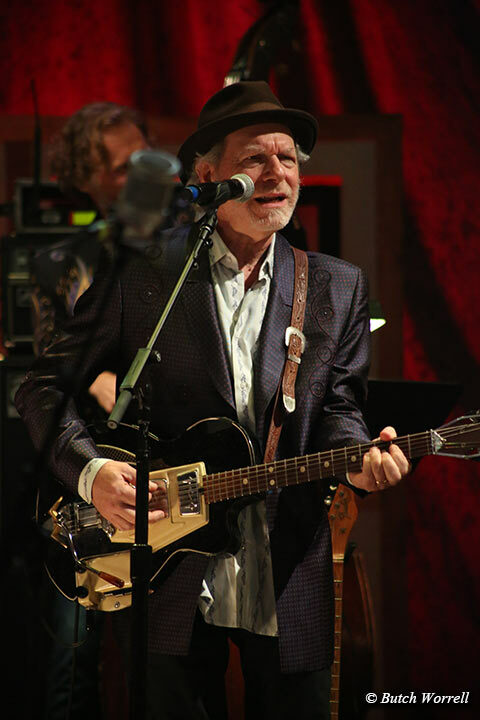 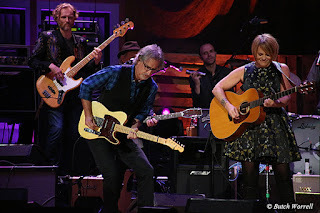 Bob Weir, Dwight Yoakam, John McEuen,The Nitty Gritty Dirtband, William Bell, Jason Isbell, Margo Price, George Strait, Jim Lauderdale, Shawn Colvin, Bonnie Raitt, Emmy Lou Harris, Buddy Miller, Steve Fishell and more contributed to the night's success. 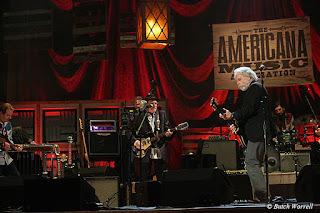 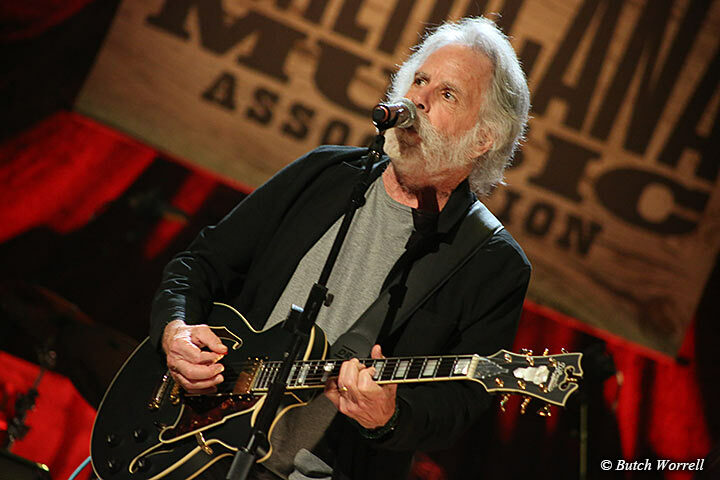 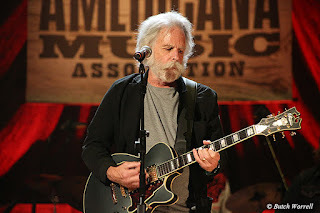 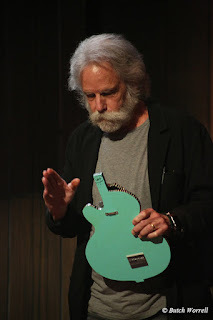 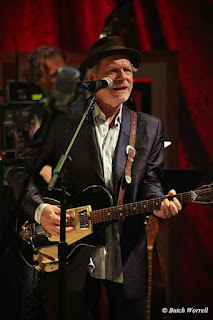 Just a few of the high lights are included here........ Bob Weir performed “Mama Tried” to honor Merle Haggard with Buddy Miller, Steve Fishell, and the All Star band. 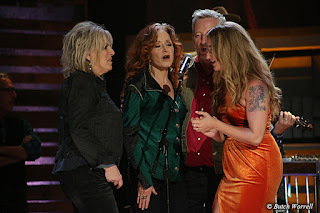 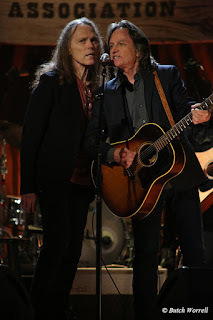 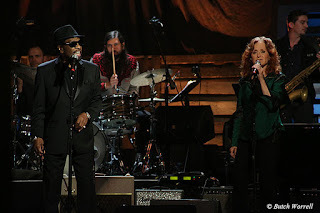 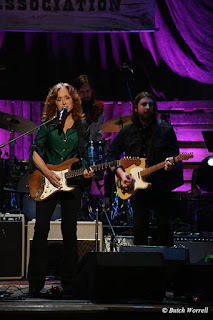 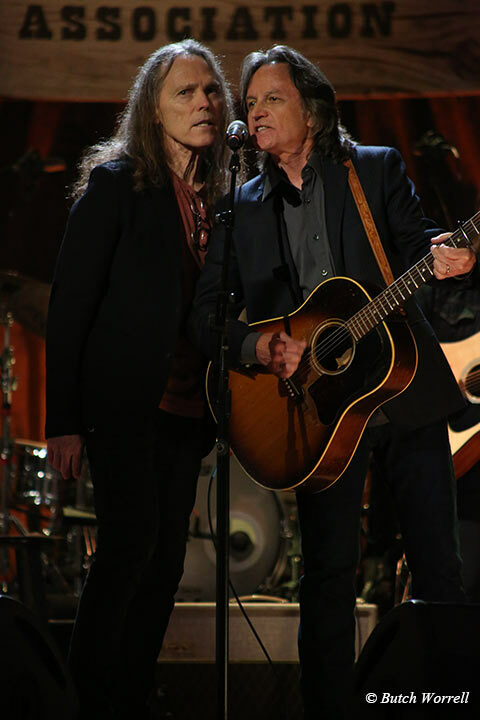 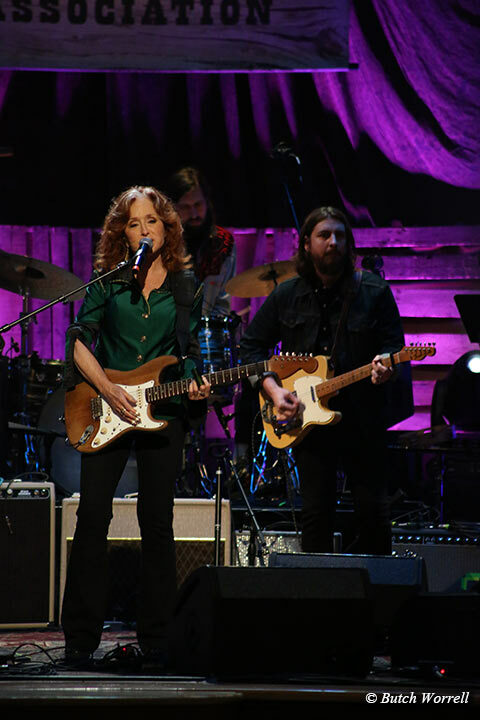 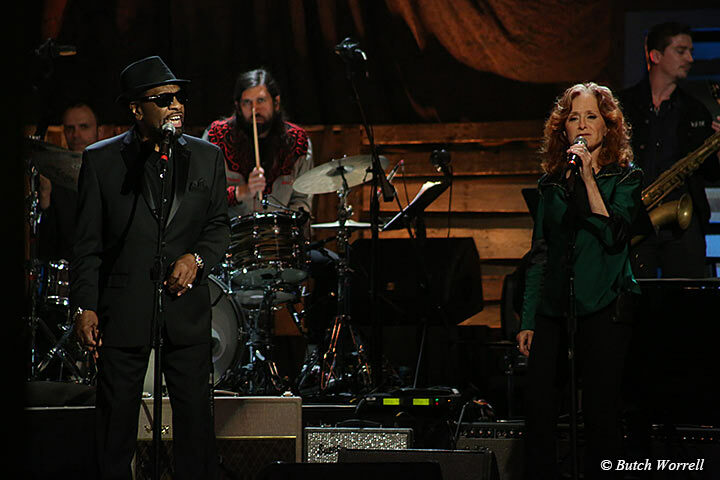 Others included Bonnie Raitt, William Bell, Jason Isbell, Amanda Shires, Emmy Lou Harris, Shawn Colvin, Rodney Crowell, Margo Price, Timothy B. Schmit, and many more. 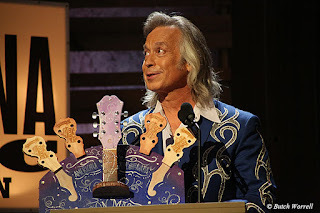 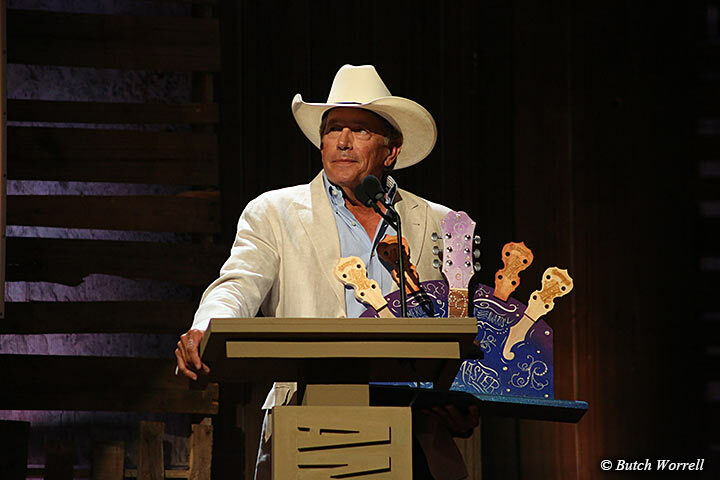 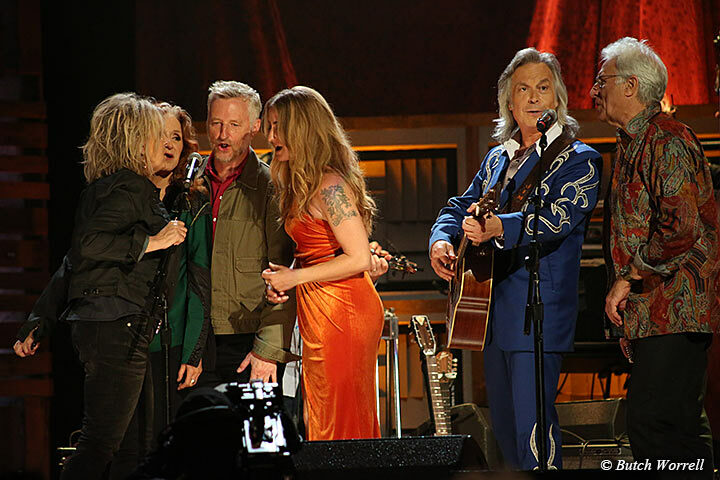 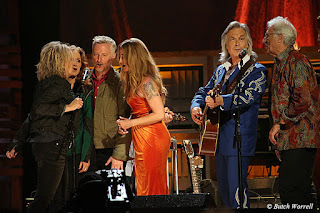 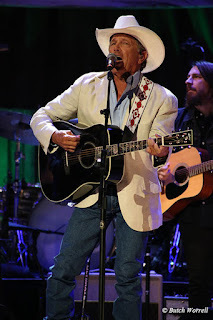 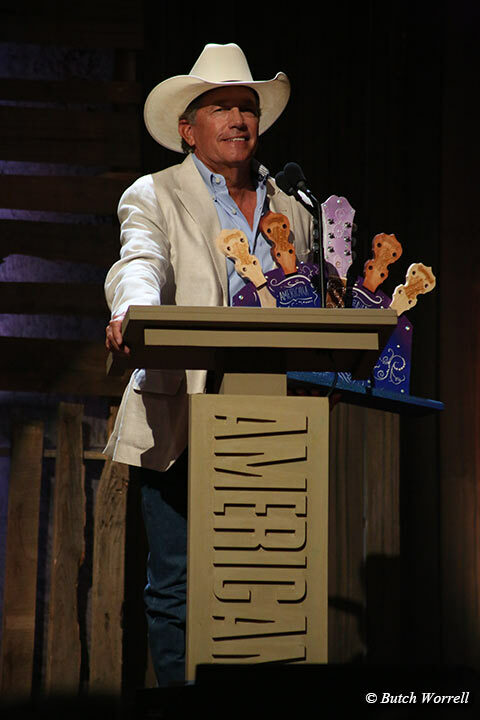 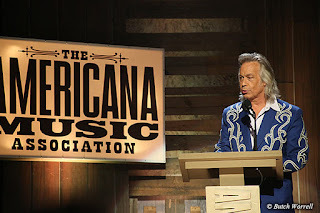 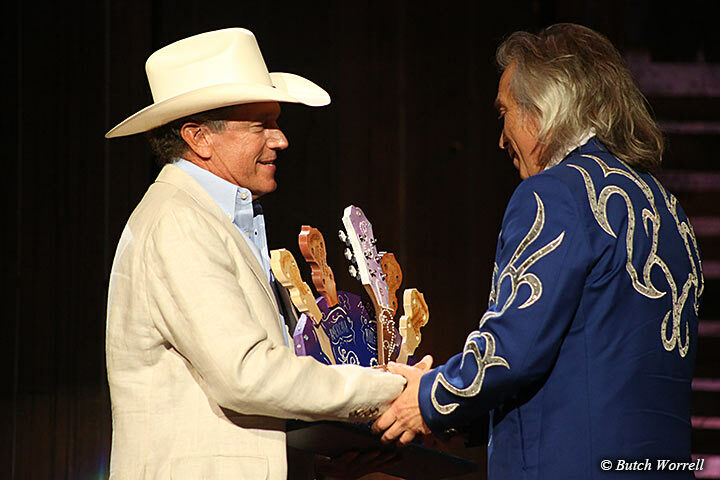 George Strait, who has relied on Jim's songwriting talents so much, presented Jim Lauderdale with the “WagonMaster” award. 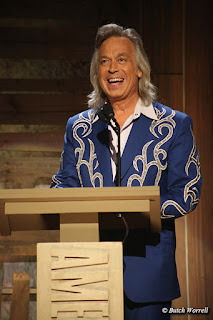 The only other one ever had gone to Porter Wagoner. 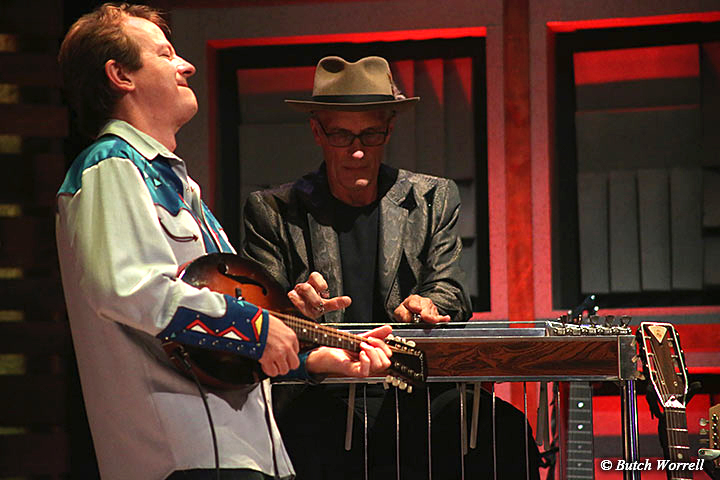 This recognized how Jim has been a true leader in promoting “Americana” music. Then George and Jim performed one of Jim's best songs, “King of the Broken Hearts”. 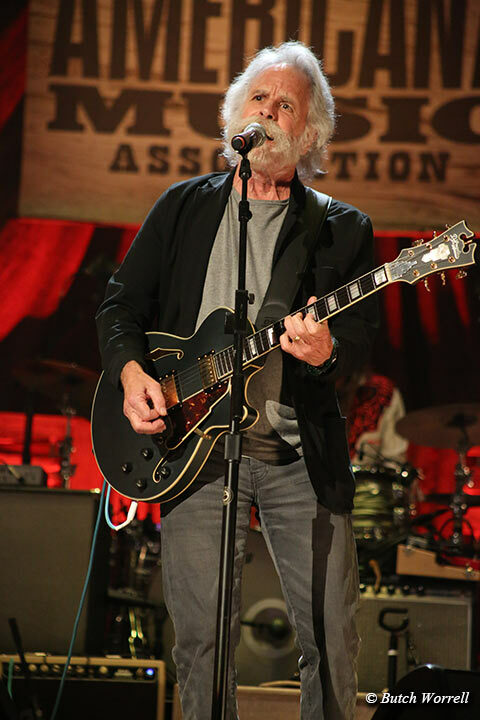 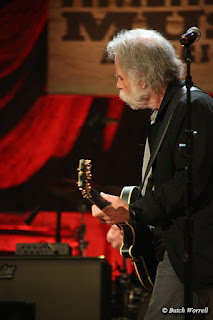 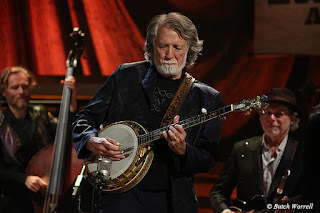 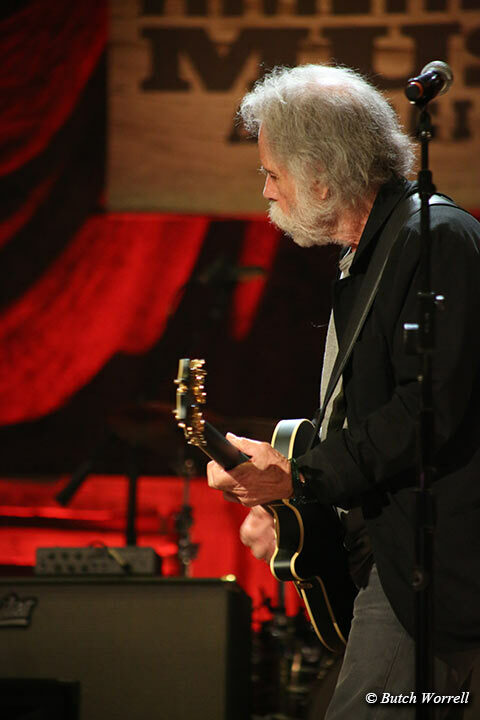 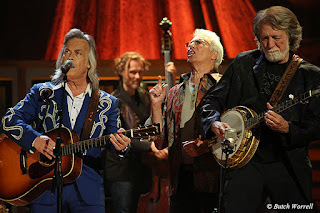 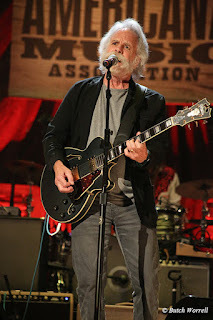 The grand finale was John McEuen, the Nitty Gritty Dirtband” performing the Carter Family Classic, “Will The Circle Be Unbroken” with the help of many of the show's participants. 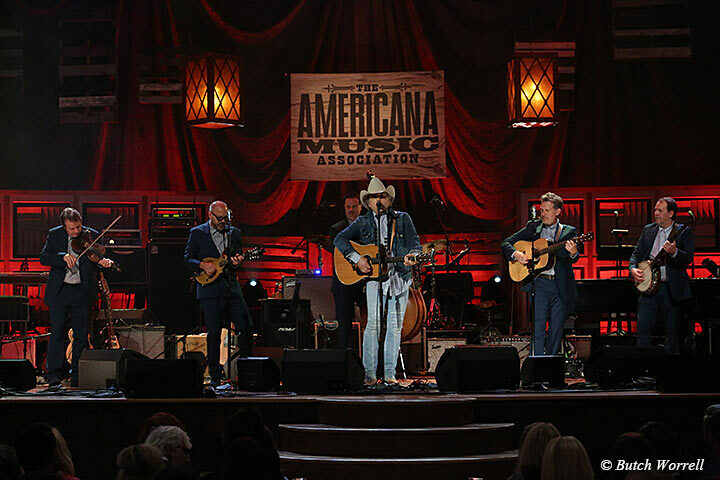 A fitting song to close a show celebrating “Americana” music.